Whether you are a smaller, developing business or an already established one, multifunction copiers play an important role in many businesses. So should you buy a copier, or rent or lease one? Which option will save you the most money while best meeting your business needs? And what about the fine print? The more you learn about how renting and leasing of copiers works, the more you will be able to make an educated and intelligent decision about which option is best for you. How does renting a copier work? Renting a copier can be a huge money saver for a small business, as the cost of a good copier will be a big capital expense. By renting a copier, you allow the rental company to take the hit on their bottom line, while you benefit from a high speed multifunction copier. Copiers are generally offered for rent for a contractual period of twelve months or less. A monthly fee is incurred, and the copier rental usually comes with a maintenance and service agreement. Copier rentals also often include cleaning and preventative maintenance which can save you time, money and frustration. 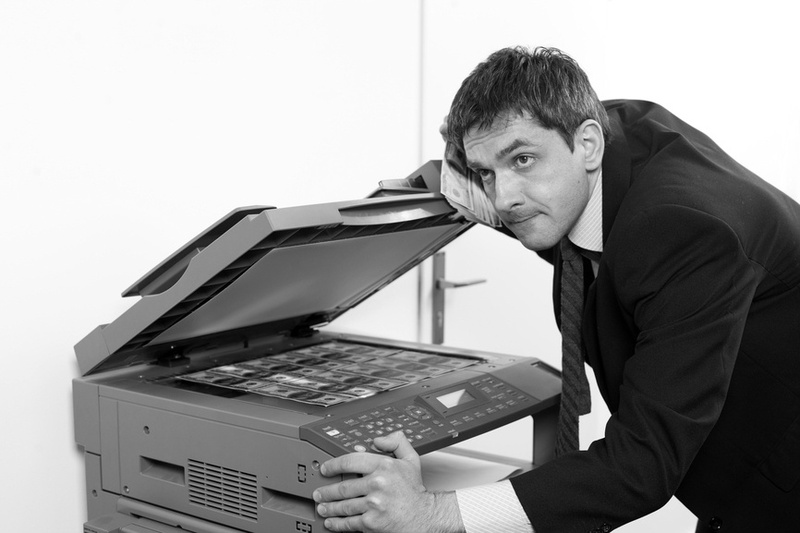 Your costs as a renter are low because you are simply paying to borrow someone’s copier. You can choose from a variety of models of copiers that best suit your business needs and after your rental period has ended you can upgrade your model as needed with a new rental, a real bonus for a rapidly growing business. When renting a copier, you may have the advantage of renting newer, more technologically advanced equipment for a reasonable monthly rate, instead of being stuck for seven or more years with whatever model you chose to buy. Renting a copier can be a particularly good option for a small business or a business that has a short term project, such as converting paper files to digital. How does leasing a copier work? How is it different than renting? Copier leases ( or “copy hire” as it is referred to outside the U.S.) are longer term than rentals: usually one, two or three year lease agreements. Before leasing you should be sure you have the monthly cash flow to support payments, as lease agreements are very difficult to break. If you do have the necessary cash flow, leasing can be a significant cost savings as the fees are lower than renting. Leases are also less expensive than buying and the payments are spread out over time making it easier on your bottom line. Make sure that when you are comparing costs, you multiply the monthly lease fee times the number of months the fee will be charged. This will give you the total cost for your copier lease. As with copier rentals, leases will include some kind of maintenance and cleaning contract which may be separate from the lease agreement. Read the fine print carefully as lease and maintenance agreements vary greatly and costs from a variety of fees can accumulate. What are the advantages to leasing or renting a copier rather than buying one? Among other advantages already listed here, keep in mind the tax advantages to leasing a copier. Talk to your tax advisor about your business tax costs. Copier leasing companies often make sure to price their leases below the interest cost of a loan for the same copier. This can be advantageous to you, allowing you to get a better copier for the same amount of money. Another tax advantage is that leases are set up to be immediately deductible expenses, while a purchase of a copier requires you to make a big capital outlay and then slowly depreciate your asset. Leasing or renting also allows you to enjoy the best part of the life cycle of your copier without worrying about selling it or repairing it when it becomes broken or outdated. What should I watch out for when renting or leasing a copier? Always read the fine print of the rental or lease contract to make sure the maintenance agreement and the rent/lease agreement are for the same length of time. Otherwise you may be stuck paying for maintenance after your rental or leasing agreement has expired. Also, be aware that many multifunction copiers now use digital technology that allows them to store memory of your documents in a hard drive. This can be a very useful function but may be an issue in terms of client confidentiality depending on your business type. If you return a rented or leased copier with confidential documents still stored on it, it may be a liability for your business. When renting a copier, also watch out for fees per copy that are included in some rental agreements, those may add up to a very significant expense. How do I find a copier for lease or rent in my area? How do I know what model to look for? If you have decided you are ready to rent or lease a copier, look for a reputable rental/lease business for copiers, in your area. Some sites will allow you to type a location (such as Miami, Florida) into their search engine and will then help you to compare rental and lease prices by company. Once you have found one or more businesses you want to work with, ask them to show you a variety of models that may work for you. As you look at copiers, remember to keep in mind what functions you might need for your particular business. Most copiers are multifunction allowing you to print, scan and copy. Most are also digital rather than analog, meaning that the copier saves it’s own copy of all images into it’s memory. This useful function can allow you to keep copies of contracts or other important papers just by copying them. You should also be sure the print function that your copier uses is a laser printer rather than an inkjet. Laser printers have significantly lower life-cycle cost because they are higher capacity (meaning that you do not have to add paper or ink as often). Also laser toner is significantly cheaper than ink, about fourteen cents lower per page. With all this information in hand, you are well equipped to make a decision on whether to rent or lease a copier for your business. Find a great copier businesses in your area, compare models and monthly costs, talk to your tax advisor if needed, and pick out a high speed multifunction copier that works for you and your business. A copier can be a serious investment but it is one that is well worth the cost if you choose wisely.